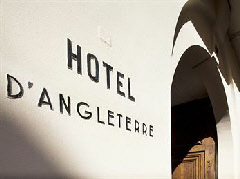 Built during the 18th century it once housed the British Embassy, but today the Hotel D’Angleterre provides excellent accommodation for those seeking to explore the historic city of Paris. Located in a quiet corner of the otherwise bustling left bank, the D’Angleterre is situated within a short walk of the Louvre, Notre Dame Cathedral, and the banks of the Seine. On September 3, 1783, the preparation of the Treaty of Paris, proclaiming the independence of the Federal Republic of the United States took place in the building - Benjamin Franklin stayed during that time. Ernest Hemingway also rested here (in Room 14).